The second assortment of The Real Ghostbusters themed figures hits stores Wednesday, February 13th from Diamond Select Toys. The figures will be available via comics shops and most online toy retailers. 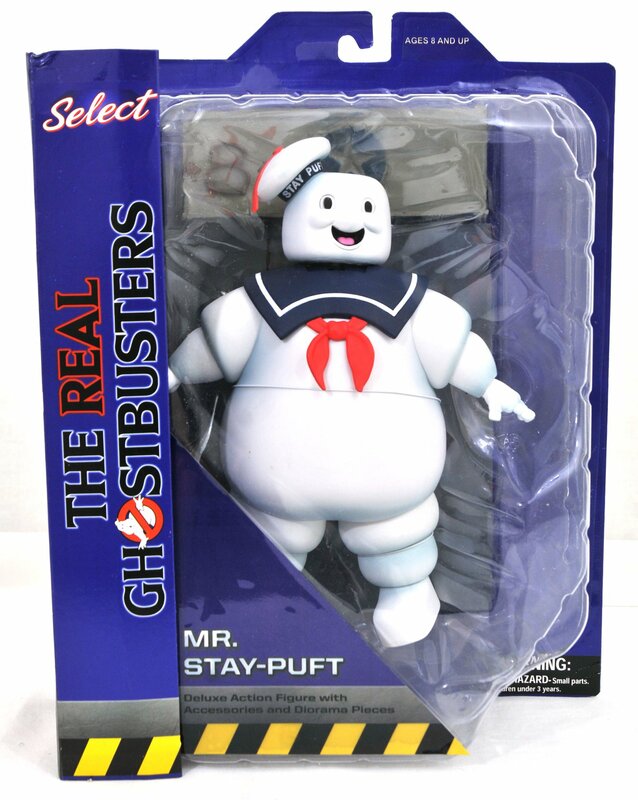 Ghostbusters Select Series 10 includes includes Ray Stantz, Peter Venkman, and the Stay Puft Marshmallow Man from the classic cartoon series. Each figure includes the final pieces for the Firehouse diorama. The figures will be priced at $24.99 each. You can see final packaging photos of the figures by clicking the headline of the story. The newest wave of Ghostbusters action figures continues to build the world of » Continue Reading. The post Ghostbusters Select Series 10 In Stores Tomorrow appeared first on The Toyark – News.